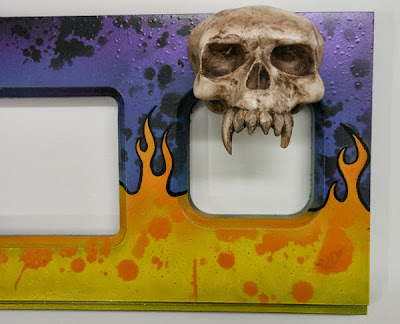 Back Alley Creations: Metallica Speaker panels are done!!!!!! Just finished the final proto type for the Metallica speaker panel. I will have them for sale at the Chicago Expo in a few weeks and they will be on my website shortly after as well. 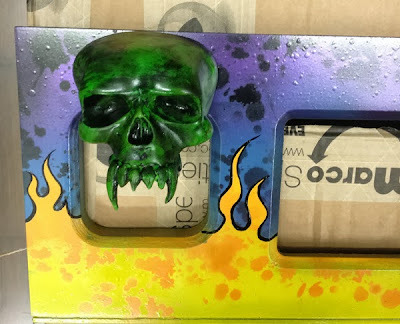 Right now it looks like I will have 3 different color skulls to offer. Red, Green and Bone will be the current options. This speaker panel will be for the pro model and the Dirty Donny edition. I will make another panel for the gig box and the master of Puppets version. Also you will have the option of how you want the skull mounted to the panel. 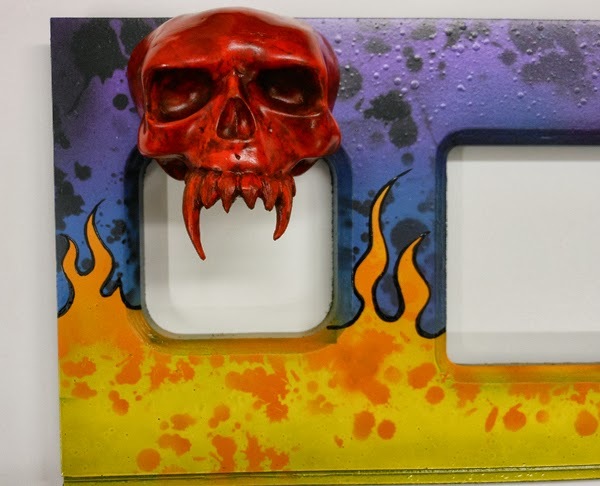 We suggest the you have it screwed in from the back, but if you ever have to close the back box to move it you will have to remove the panel or unscrew the skulls. With that in mind we will offer a choice of industrial locking Velcro or screw mounted. More info to follow on all of this soon. Thanks for checking it out.